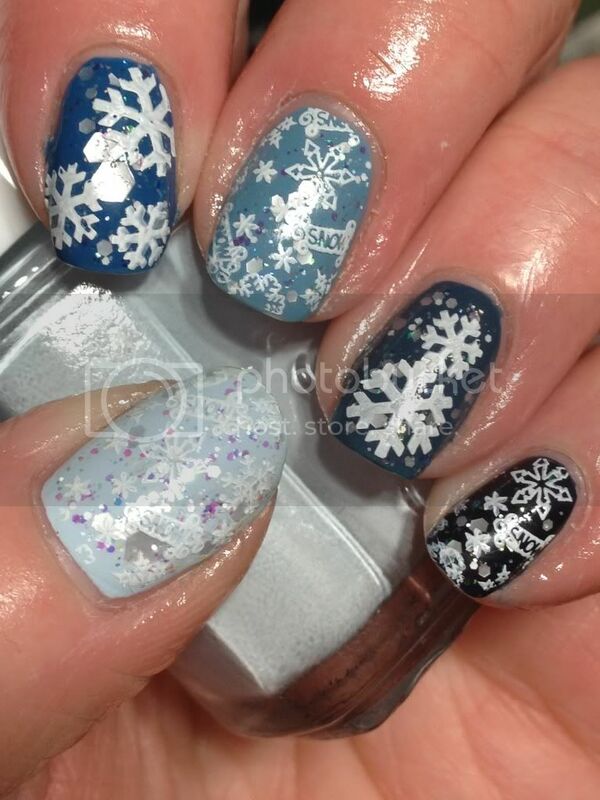 This weeks FB Adventures in Stamping Challenge was stamping over a blue base. This is what I came up with for the challenge! 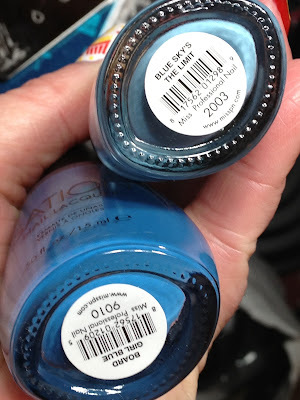 Started with skittles of blue polishes; polishes starting at the thumb and going clockwise are Essie Borrowed & Blue, Sation Bord Girl Blue, Sation Blue Sky's The Limit, Ulta Soho Blue and Duri Blueberry Daiquiri; all two coats. Added a layer of Pretty & Polished Save the Date. 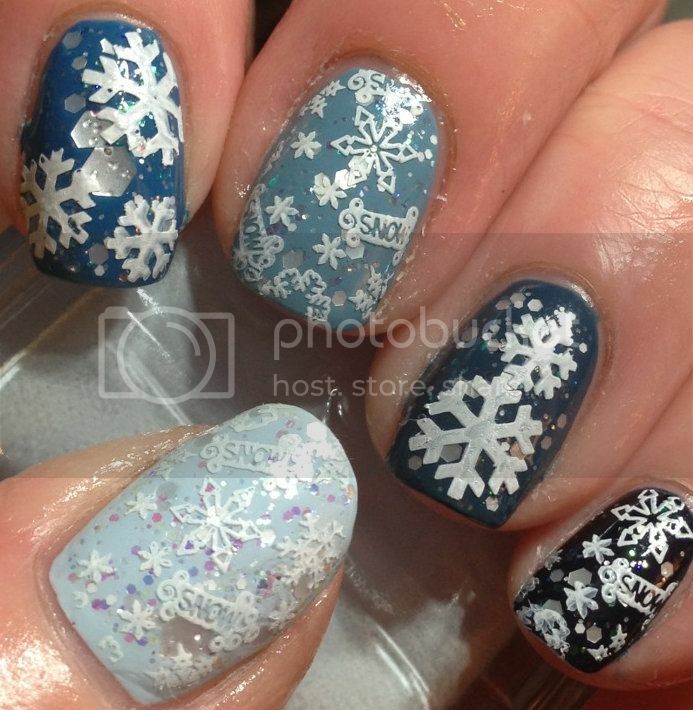 Stamped using SdP 84 for the single snowflakes on index and ring and Big SdP K on other fingers using white Konad special polish. Most pix I took of this mani, the thumb image didn't show up a whole lot even though it was pretty obvious IRL. So I took a close up of the thumb; this pix was after mattifying it. 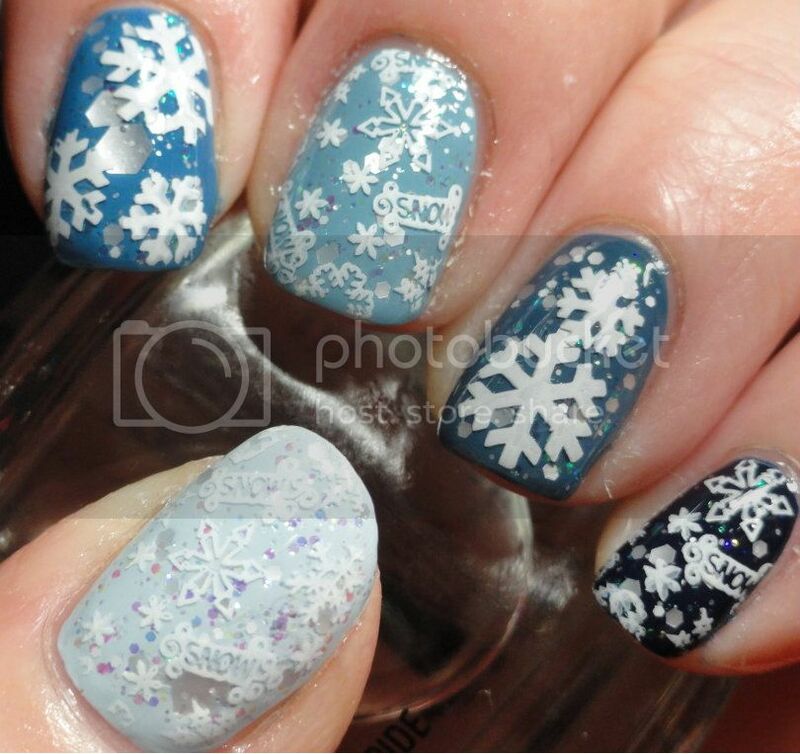 If you haven't had a chance yet to vote over at Nail Polish Canada's current contest, this weeks challenge theme was snow...you can see my entry and others here; please take a few minutes to vote if you haven't already at voting ends today! 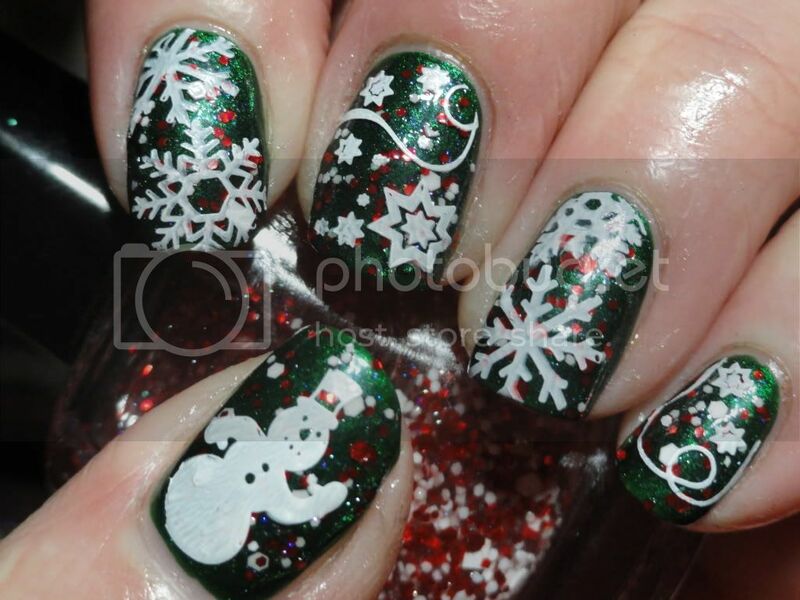 This was my entry......but please vote for your favourite! Yesterday was the Grey Cup and for those not familiar with it, it's like the Super Bowl but the Canadian version of it! Mayyyyybe not as big as the Super Bowl, but it's the final game for all the teams in the CFL. The final was between the Toronto Argonauts and the Calgary Stampeders and it was played in Toronto. 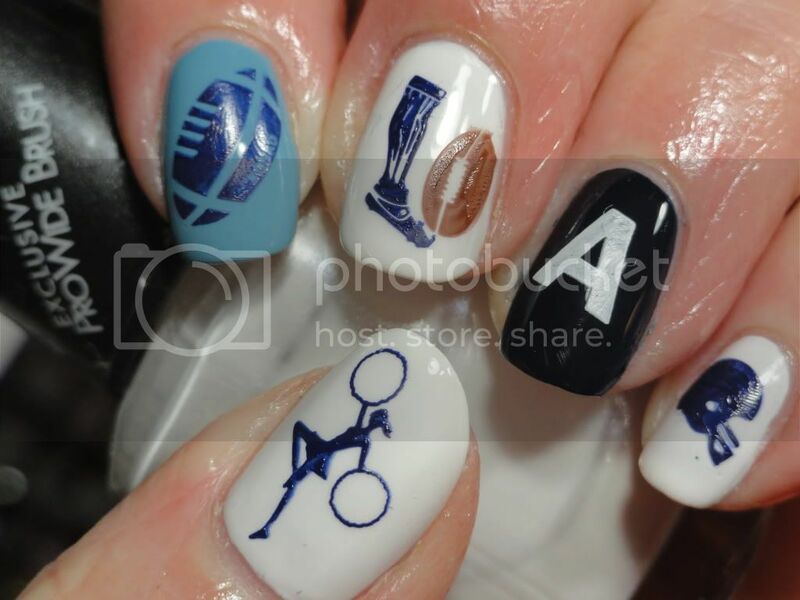 These were the nails I was wearing for the game. 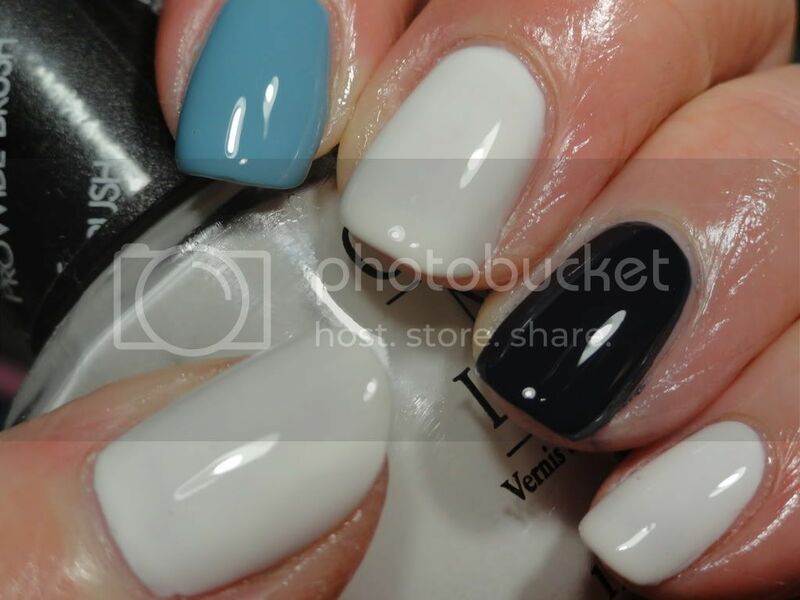 Started with a base of two coats each of OPI Bride's Bouquet (white), Sation Blue Sky's The Limit (light blue) and Duri Blueberry Daiquiri (dark blue). 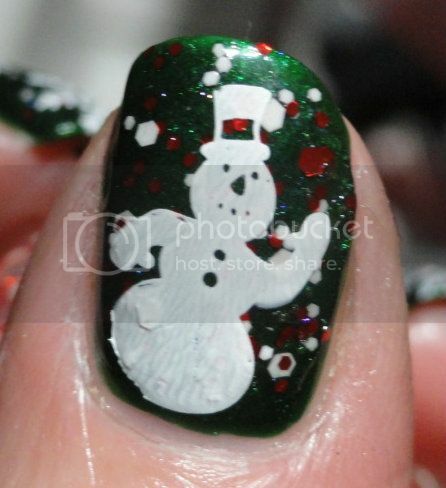 Added a few random stars using assortment of base and stamping polishes, then topped with SV. 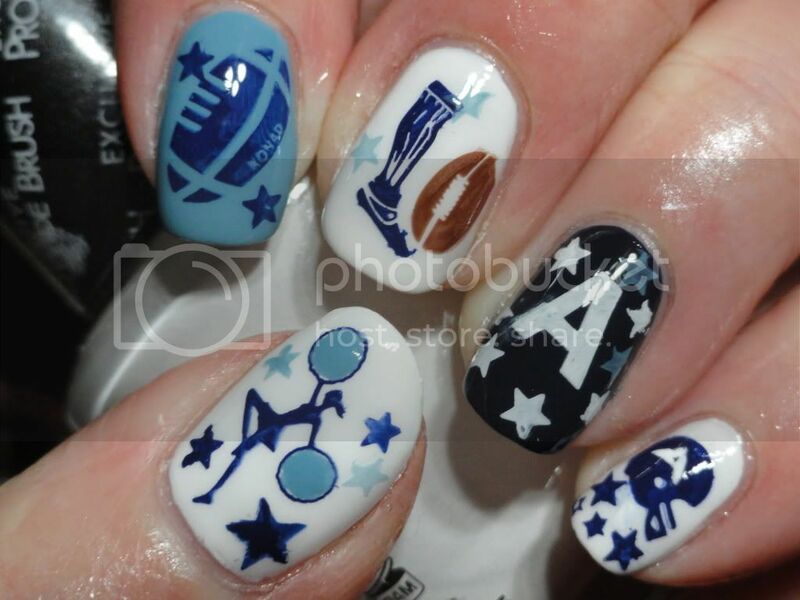 I also freehanded an A on the helmet on the pinky. I did think about taking a small A from the etching off plates that identify them (like A series or the A from the QA plate), but didn't think I'd be able to stamp it bang on in the middle of the helmet so decided to freehand it instead. 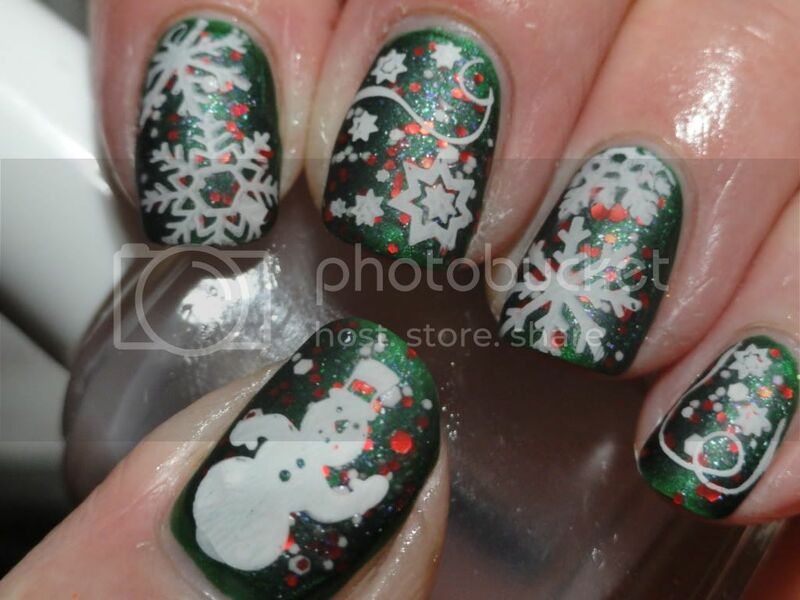 I also free handed the pom poms with the Sation polish and a brush too. TBH, I'm not THAT much of a football fan, but Toronto is about as close as a home team for football that I'm ever going to have. 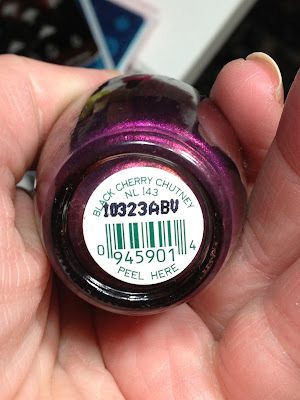 I watched the game along with the hubby and my sons and also spent the afternoon making appropriate football-watching food (pulled pork, chili and the like) and I needed no excuse other than the game to do a theme mani and the Grey Cup was as good as any! But the Argo's did the take the cup, 35-22, and it was a great game...it was a pretty good Canadian halftime show too! Yeah, Argo's!!!! 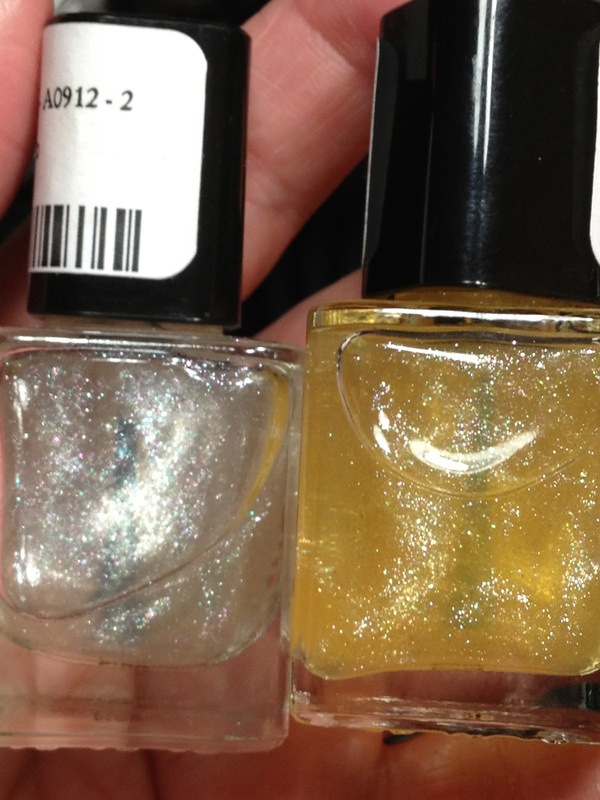 Nail Polish Canada is currently hosting a three week nail art contest. 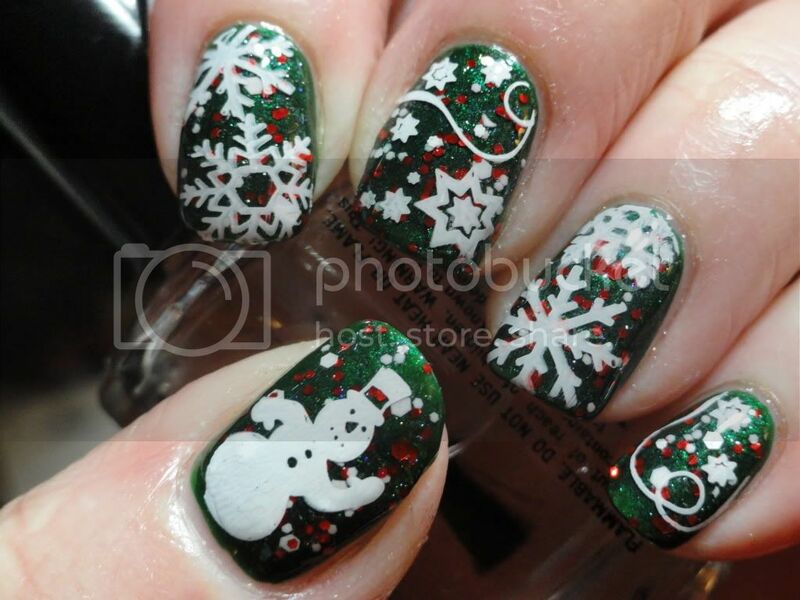 The theme for the first week is Snow and here's the mani I came up with! You can see my entry and others here...and don't forget to vote for your favourite! 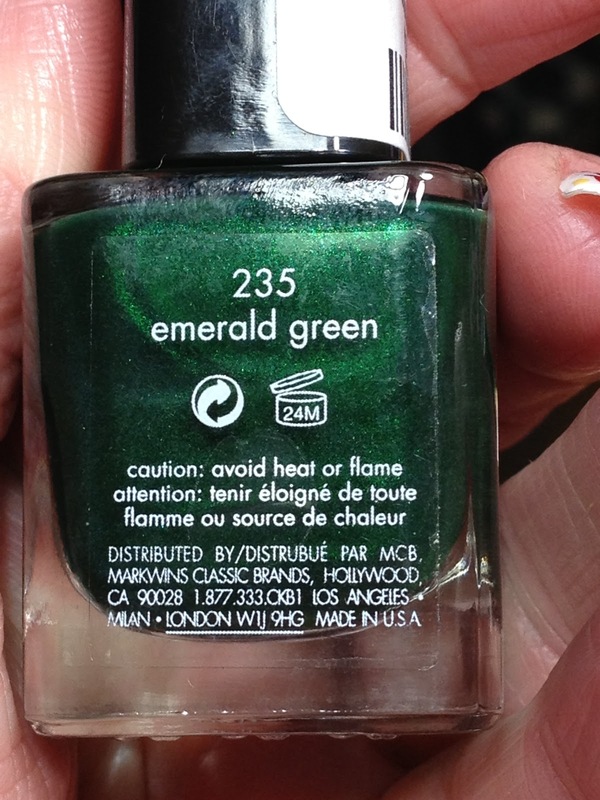 Started with a base of two coats of Calvin Klein Emerald Green, which was one of my recent local polish finds at Winners. 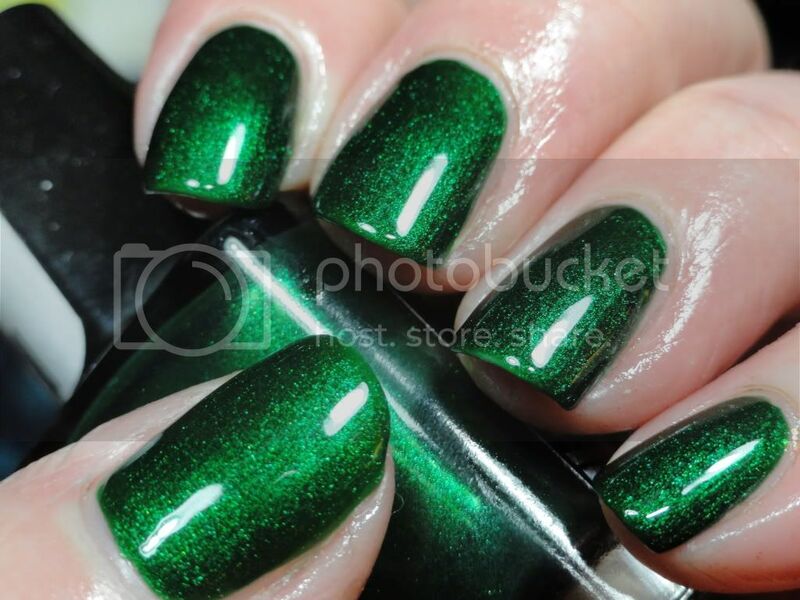 This polish is beautiful! My only complaint was that the brush was really wonky and loose and I had a hard time controlling the polish application. I'm not sure if I got a bad brush or if this is just how the brushes are for this brand as I haven't used it before. 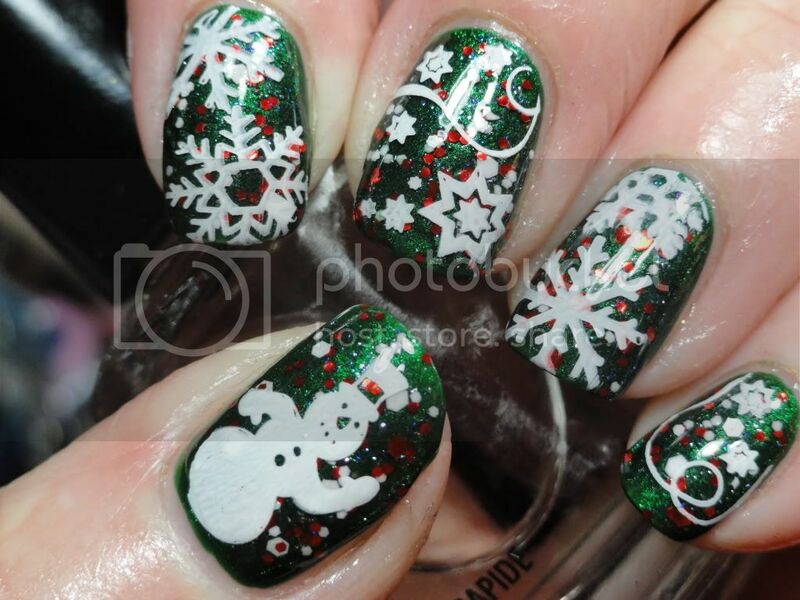 I did this mani right after the family had put the outside Christmas decorations so was in the mood for Christmas if you are wondering why the colours are all Christmasy! So added a coat of Girly Bits Canadian Eh? 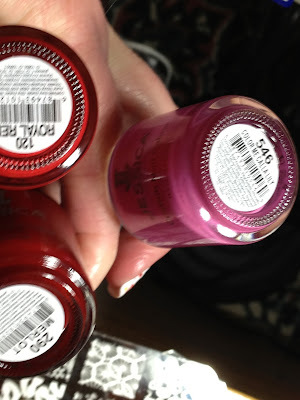 Bottle shot of Girly Bits Canadian Eh? 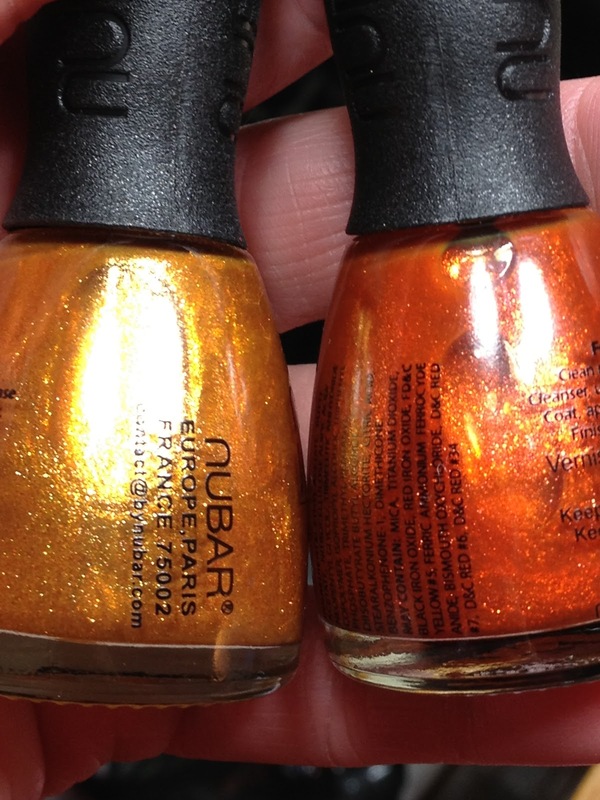 Decided a little more glitter was in order so added a second coat. 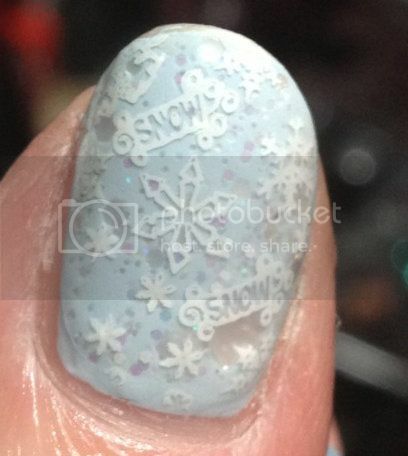 Stamped using HD05 using white Konad stamping polish. This adorable snow fella didn't really show up that well in many of the pix so I took a pix of him by himself. 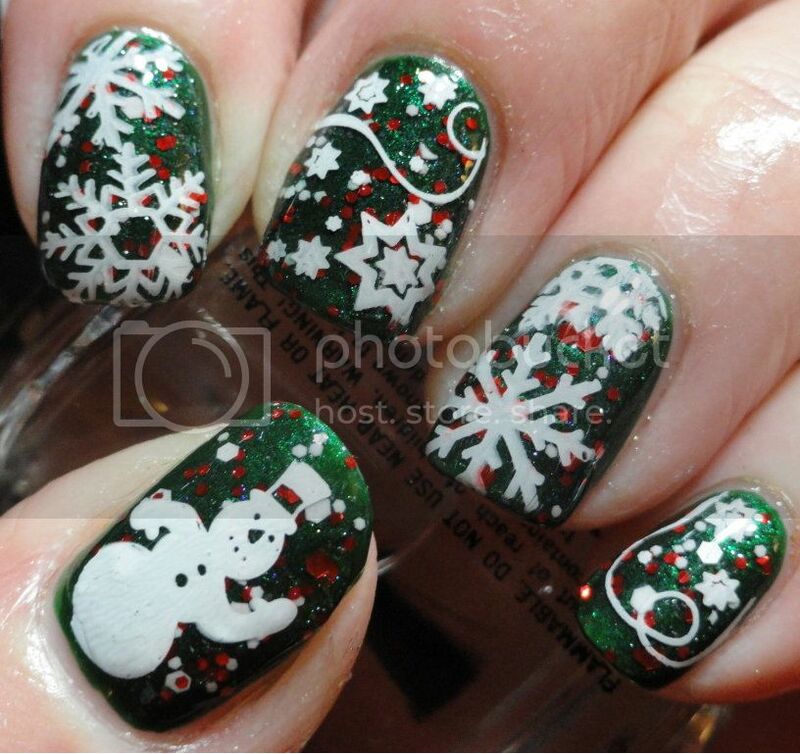 Please go to Nail Art Canada and vote for your favourite mani. 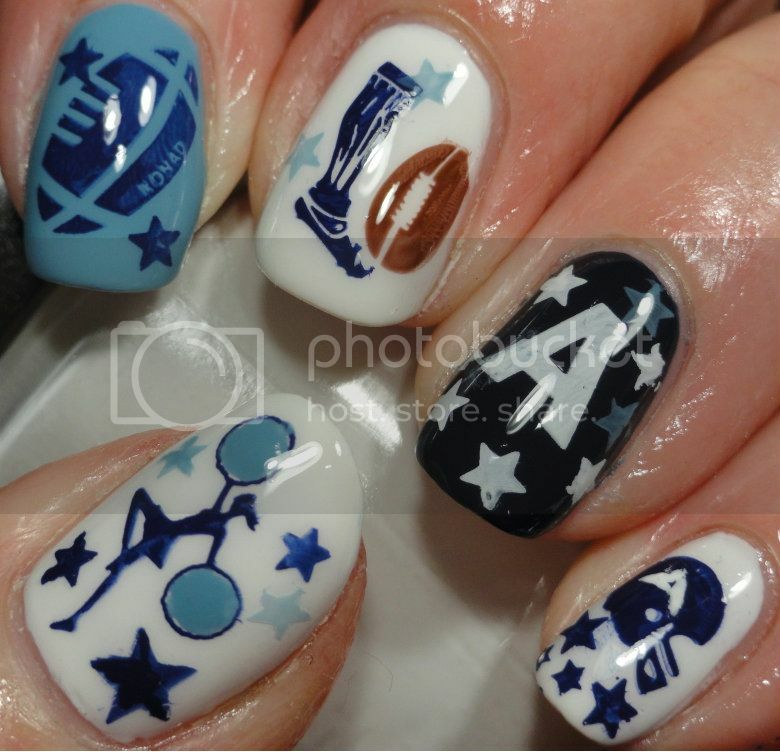 There are a lot of awesome entries....I'm always amazed at the talent so many ladies have and equally amazed how there are so many unique designs even thought all the nails are with the same theme! 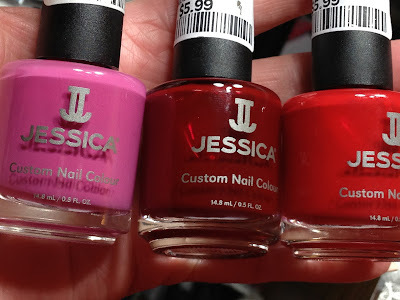 And a huge thanks to Nail Art Canada for sponsoring the contest; there are truly some amazing gift package prizes in this contact which is going to make a lot of gals very nail happy! Girly Bits Canadian Eh? is available via Girl Bits Big Cartel as well as llarowe and its on sale now at both estores. 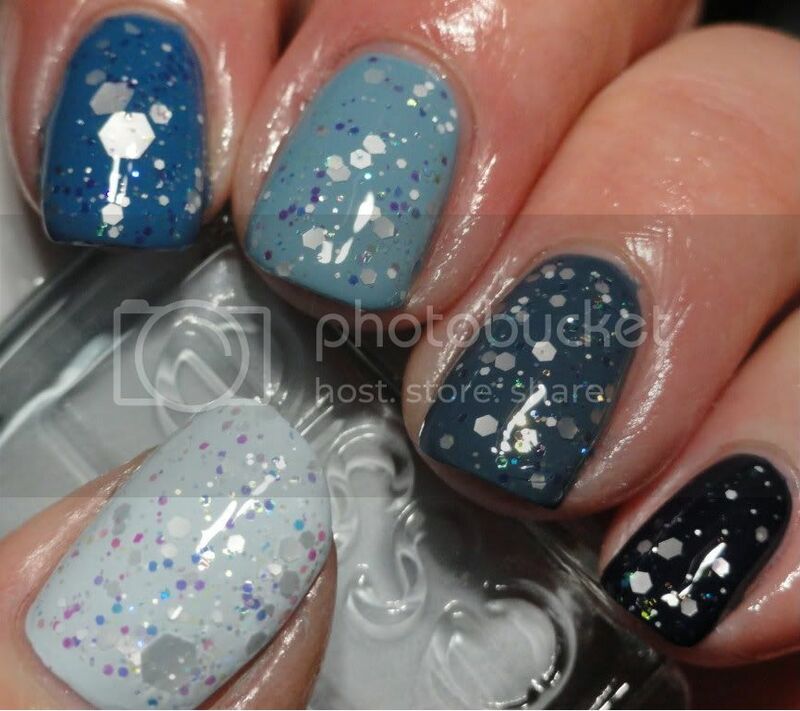 HD plates are the creation of a fellow blogger, Bunny Nails, and they are available via her ecrater store here. 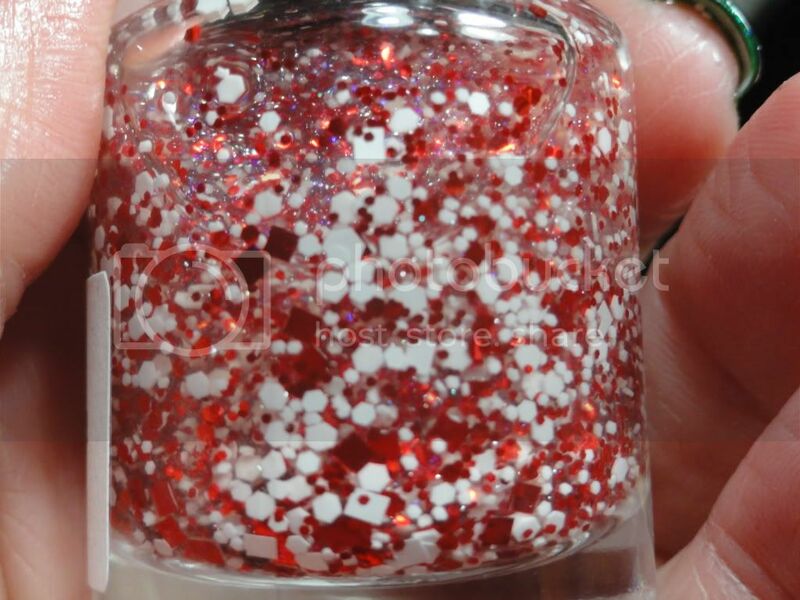 It seems that the HD01 to HD05 are out of stock but I've messaged Bunny Nails who send they should be restocked in about a month. In the meanwhile, if anyone has had to upgrade their pix capacity and done it successfully, please let me know how!!! Anyhoooooo, over the last two weekends, I've visited a few Winners in my area. OK, maybe more than a few and maybe more than those in my area! 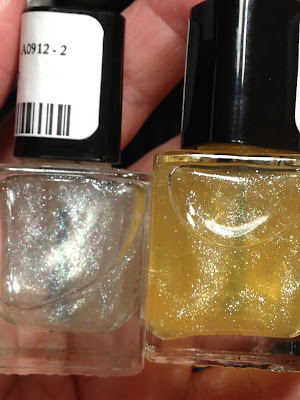 Winners has awesome selection of polishes this time of year and usually up until around Christmas based upon the last couple years of shopping there; then it dwindles down around the new year and is pretty much a drought until the next holiday season. 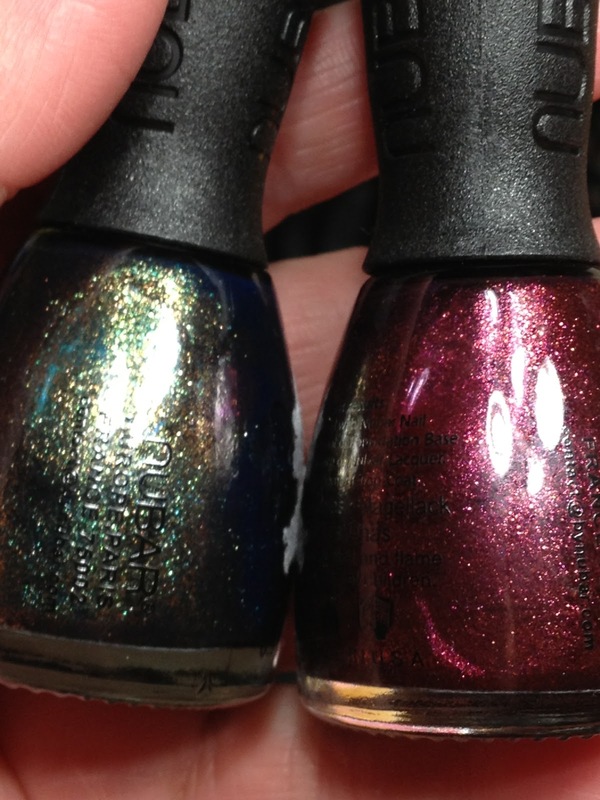 But I did manage to snag some cool polishes during the past couple weeks. 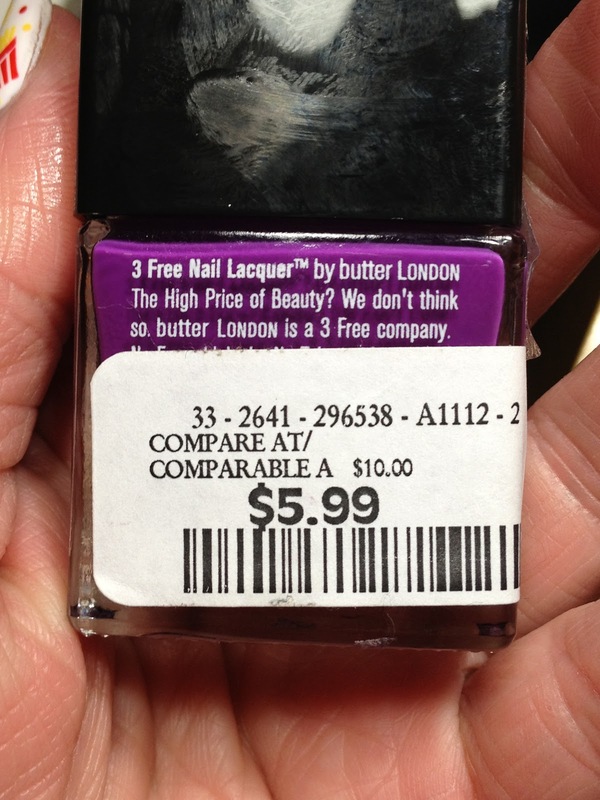 Winners has Butter London? Who knew? I seen BL at several stores at $12.99 and passed even though that's around $5 lower than The Bay and Holt Renfrew who sell BL in our area. There were only a couple colours and this one, which I didn't even jot down, just seemed too familiar to others I already had. 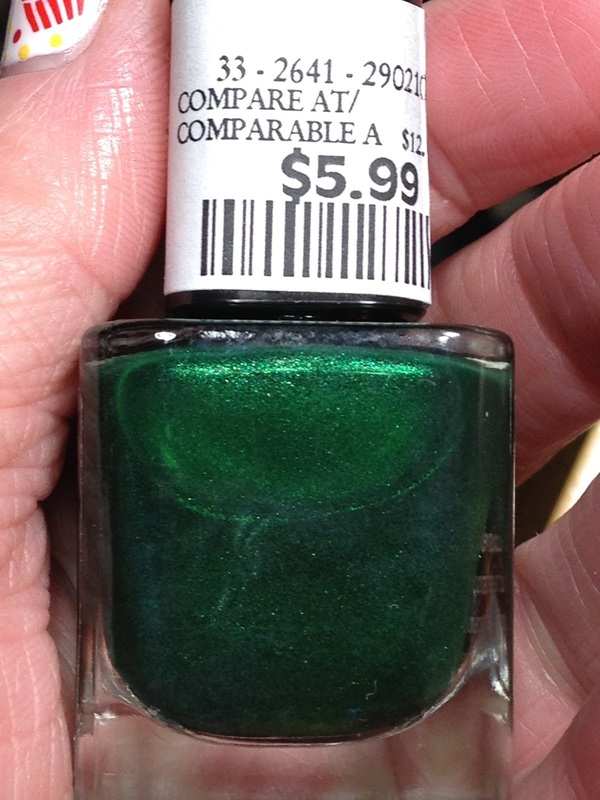 But when I came across one location that had it priced at $5.99, it was too good of a deal to pass up! Sation. Not a brand too readily available in my local area. Jessica's on Orfus Road is now selling Sation but for around $7 if memory serves me right. 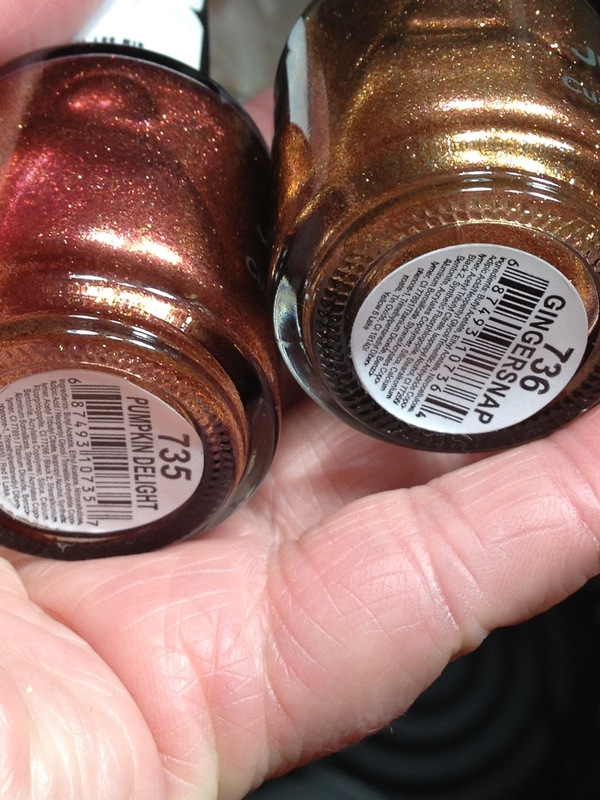 These were $3.99. The Zoya Gloss collex that I had originally passed on when they were first released. Zoya retails for around $8.99 here and I didn't think I'd use them enough to justify the money. But when the box set of 3 was found at one location for $16.99, it was like buy 2, get 1 free so I couldn't resist! 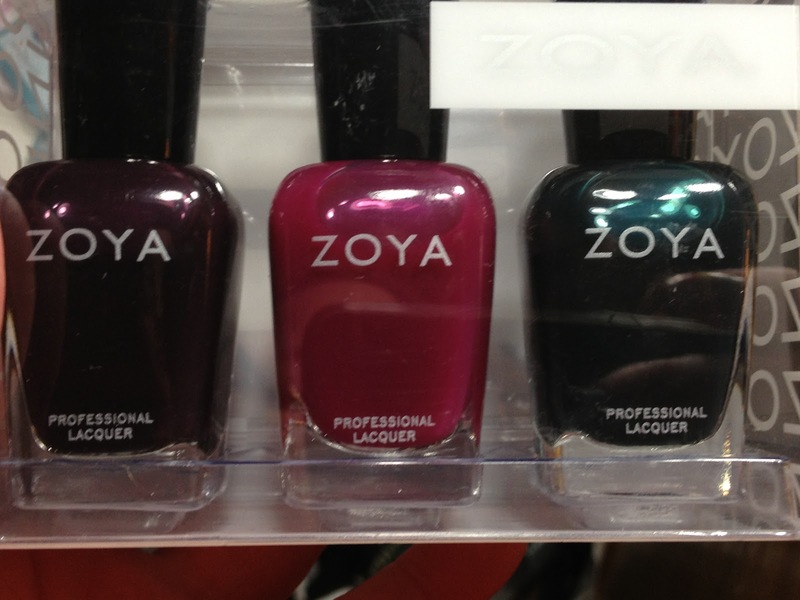 Funny enough, these were the only Zoya's I seen during my travels and only at the one location. 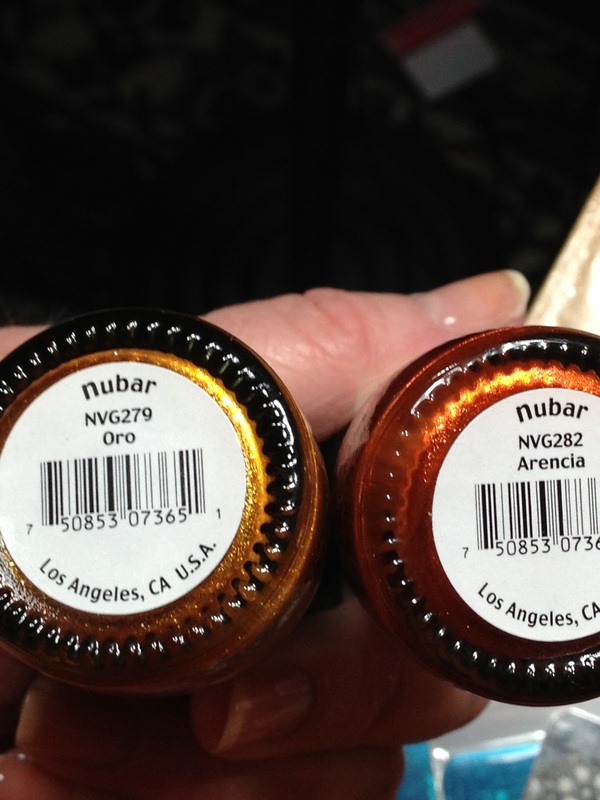 A few more Nubars. 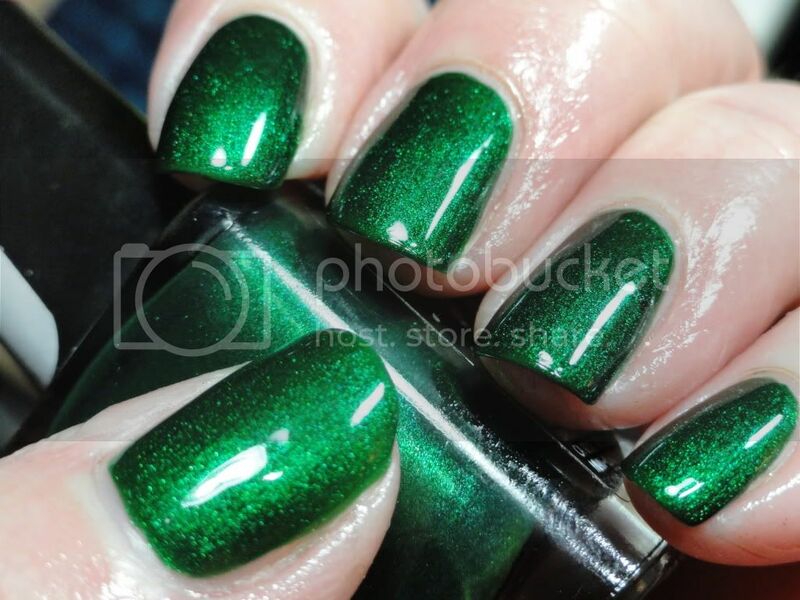 These two colours scream Christmas to me! A couple more Calvin Klein topcoats. I actually thought I had OPI Black Cherry Chutney so passed when I originally came across it. But I went home and checked my stash and turns out, I didn't have it so went back to the store the next day and picked it up. This again was only found at one location in my travels and I only seen the one bottle. I've also seen a lot of the Color Club boxes sets at almost every location I visited...but no Halo Hues! I wonder if they will ever be available in the box sets? 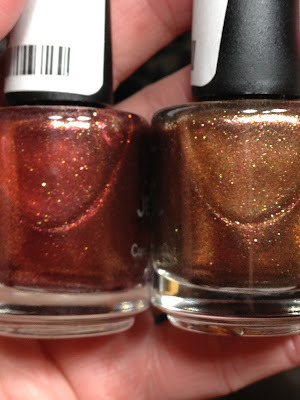 Other finds that I didn't get for one reason or another were the China Glaze Joy Collection, a few random Orly's, the newish Ruby Wing colour changing polishes, a few random Essie's, and quite a few different Barielle boxed sets including the holiday one (I seem to recall that I did pick up a few different boxed sets of these too!). That's the thing about Winners; it's usually random what they have in stock and selection varies from one location to the other; which is why I visited quite a few stores......in more than my general area! lettuce, cheese, pickles, onions, on a sesame seed bun! Anyone else remember that jingle? 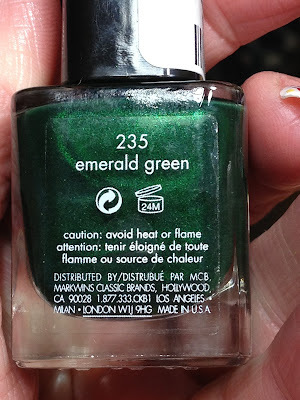 It was ironic that I ended up at McDonalds the night when I wearing this mani. It wasn't intentional but after working late one night, I stopped in at McD's for something to eat just because it was late and it's the only fast food place near my work without driving for blocks and blocks and this happened to be on my nails. It caught the attention of the drive thru gal who thought it was very cool! Started with a base of OPI Bride's Bouquet with accent of Sally Hansen Hearts on Fire, all two coats (no pix as have shown both before). Then stamped using MJ V (McD on middle and coffee on index), MJ VIII (drink on pinky), CH41 (burger and fries), HB44 (ice cream) and QA1 (smile). Stamping polishes used were Konad red and black special polishes and yellow is FUN Mango Shake. Added a few white and yellow dots as well as took a little brush and coloured in a bit of the condiments on the burger for lettuce, tomato and cheese! Are you lovin' it? Lol.....! 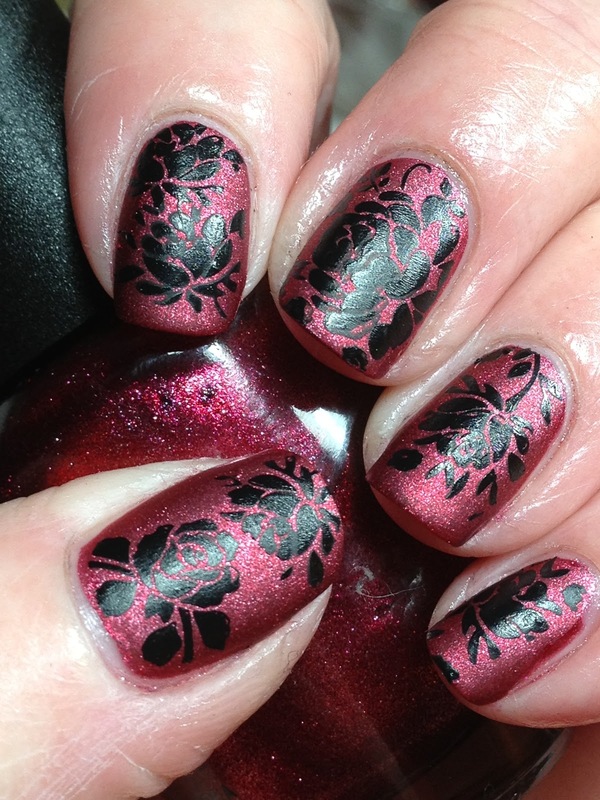 This weeks FB Adventures in Stamping Challenge was a mani with some aspect of matte. 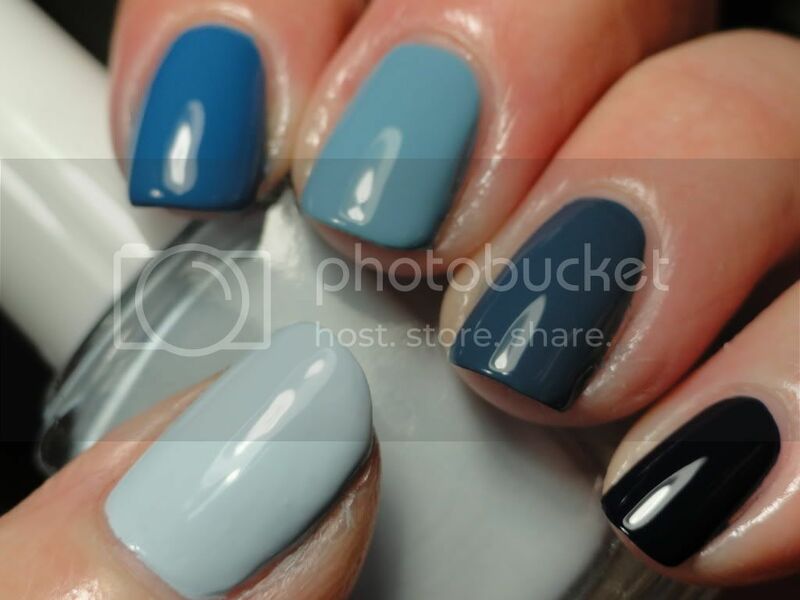 I had picked up a few bottles of a new to me brand of matte polishes over the summer and decided to use one of them for the challenge; here's what I came up with. Started with one coat of Lioele No. 9 (Merry Pink Wine). A couple of bottle shots. 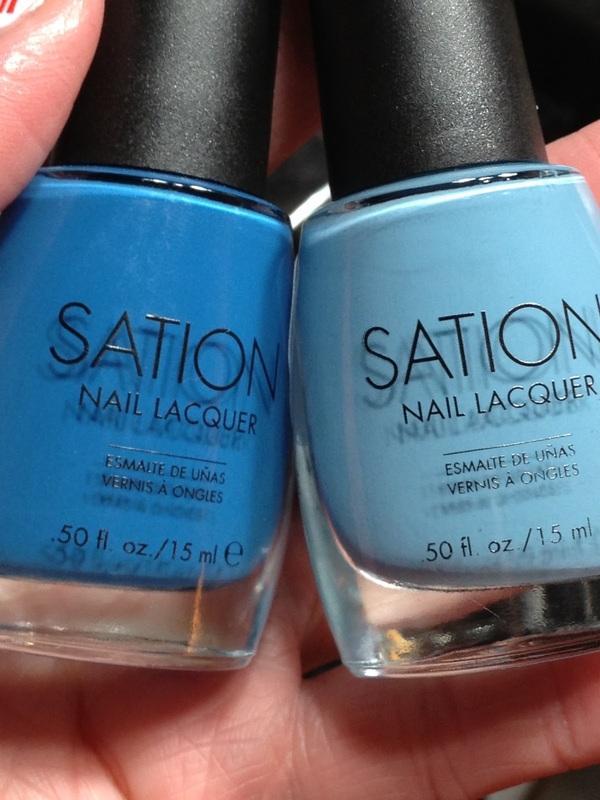 I had picked this up at one of the stores at Pacific Mall in Markham over the summer. 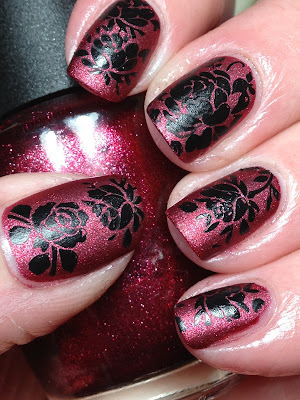 Stamped using black Konad special polish using the different parts of the full size rose image from SdP 16 and a single rose image from SdP 56 on the bottom thumb; the top image on the thumb is SdP 16 as well. 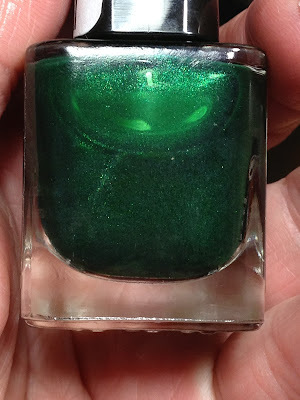 Another pix that shows the stamping slightly better; however, the base is lighter than IRL. 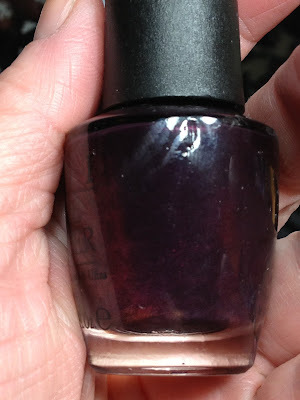 This is a little...a lot...darker than I'm used to wearing but it was great stepping out of my polish comfort zone for a change. 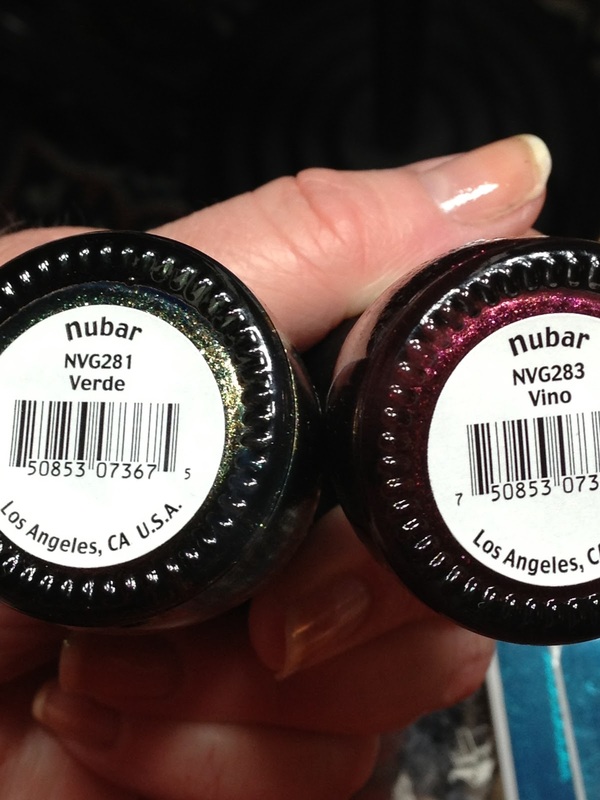 I may have to try a few more of these darker shades! Hope you're having a great weekend and thanks for looking! Nails to Brighten a Dreary Day!